Mark Story, the founder of QueensLander, now Story Land & Sea®, began leading and hosting groups of people on tours and cruises starting in 1988. After many successful years of creating exciting group adventures as a part-time proprietor, Mark expanded the company to a full-time operation in 2003. 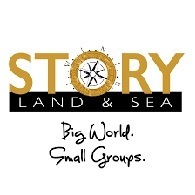 When you travel with Story Land & Sea® your travel event is covered by our Tour Operator Professional Liability Insurance which includes a 1 million dollar "Errors & Omissions" policy. We require proof of liability coverage from our partner suppliers as an extra means of protection. We choose to offer our guests only the finest in quality Italian hotels, and clean, comfortable economy hotels on certain itineraries. We offer select and a la carte dining in off-the-beaten-path restaurants owned and operated by Italian. We provide unique entertainment in the Italian cities and feature more admissions than other leading tour operators as well as gratuities on most of our Story branded travel events. We've found that our guests prefer our gratuities for our Tour Captains to remain optional and therefore they are at your discretion. Every trip is under the guidance of your travel host, the Story Land & Sea® Tour Captain. Your Captain is there to ensure your Italy tour is truly the vacation of a lifetime. They are friendly, service-driven professionals who care about your satisfaction throughout Italy! Compare us with the larger companies and you'll see the Story Land & Sea® difference: personal service, genuine caring individuals who go the extra mile...we call it, "The Story Way." I'd like to know more about your experiences in travel both with us and with other companies. Please drop me a line at Mark @ StoryLandSea . com (no spaces). In addition to our luxury brand, Story Land & Sea®, we also operate Savvy Affordable Tours®, Walks by Story®, and premiering in 2017, Story Africa® and in 2018, Story Small Ships®. Why should I go with Story Land & Sea® over other leading brand names? Other than the size of our group, the variety in our itineraries, the location in the Italian cities and quality of our hotels, the type of Italian dinners we include and the service-driven nature of our tour Italian and American staff...hmm, what else is there? Oh yeah! You'll never be on a large bus, you'll never scamper after your tour director who is 40 plus people ahead of you, and you'll always be treated as our guest throughout your Italian vacation. We strive to provide a personal service unmatched in the Italy touring industry. From our pre-trip conversations and consultation, to on-tour experience in Italy, and to our follow-up after the tour: service-driven is our goal.